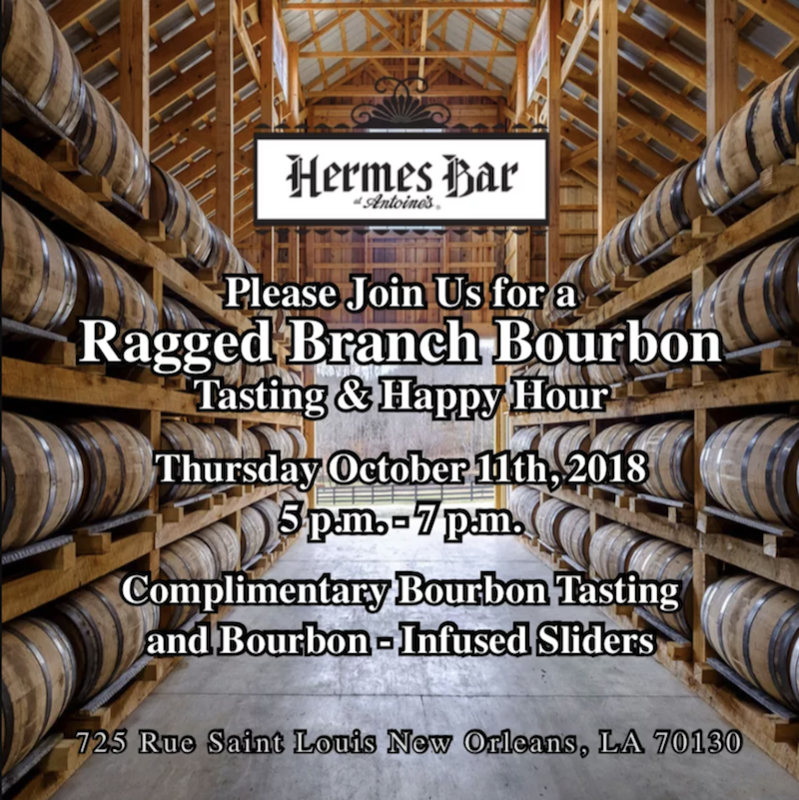 Calling all Bourbon drinkers to the Hermes Bar on Thursday October 11th, 2018 from 5-7 p.m.! Please join us for a Ragged Branch Bourbon tasting and happy hour on Thursday, October 11, 2018 from 5pm to 7pm. Complimentary Bourbon tasting and Bourbon-infused sliders.